There are certain moments when that adrenaline kicks in. An announcement is made. A plotline twist changes everything. Whether within a fictional story or in the real world of theme park news, something unexpected surfaces and we, as fans, get excited. ABC’s Once Upon a Time, whose fourth season just began airing Sunday evenings, has this down to a science. The program’s staffs writers know the art of the jaw-drop well. I’ll save specifics to prevent any mid-Netflix spoilers you might need to adhere to, but every new turn in the series’ grand story takes me by surprise. Another instance is in Pirates of the Caribbean: Dead Man’s Chest. Nowadays, villain deaths not actually remaining dead are a bit watered down and lose their shock value, but in 2006 the theater genuinely gasped when Captain Barbossa returned in the film’s final seconds. The same thing happens in real life. I’ll never forget the day in January 2011 when Disney dropped some huge news. It was exam day at school, so students were let out early. 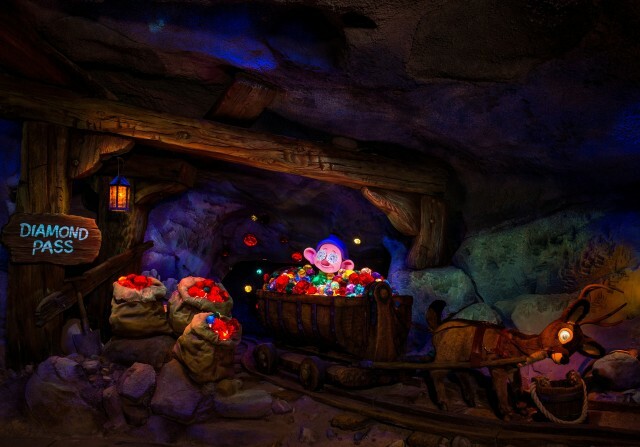 I came home and logged into Twitter, where a single headline repeated itself across my timeline: “Update on New Fantasyland at Magic Kingdom® Park.” The Disney Parks Blog had just announced that the collection of character greeting experiences for Cinderella and Aurora would be replaced by Seven Dwarfs Mine Train. I vividly remember an immediate smile reaching my face before I rushed out of my bedroom to tell my family. Why is this? What prompts that truly thrilling feeling when Disney surprises us in these ways? Part of it is our invested attachment to what these places, characters, and stories mean to us in whatever capacity that may be, from memories to messages, and it’s different for every person. But, that’s what I want to find out: How is it different for every person? How do you show excitement for Disney surprises? What’s something you didn’t see coming?